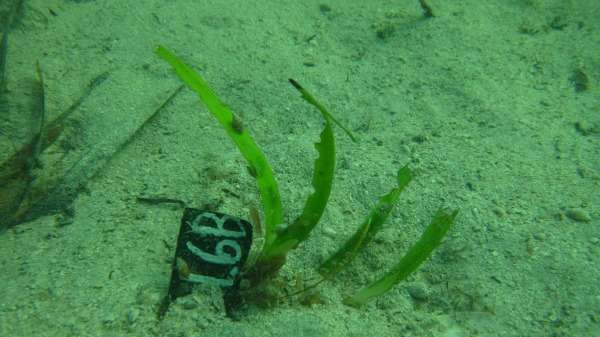 Efforts to restore Shark Bay's seagrass meadows by transplanting Posidonia australis at the edge of existing meadows are being hampered because resident fish are using the new seagrass as fast food. Local researchers found extensive grazing in the zone between the edge of the existing meadow and 10m out from its edge, but negligible grazing pressure further from the meadow edge. This phenomenon, known as an 'edge effect,' arises because herbivores, like fish, use the existing meadow as a refuge and then venture out and dine on the nearest snack, which in this case happens to be the fledgling seagrass plants. Shark Bay has one of the largest continuous seagrass meadows in the world, according to UWA Oceans Institute researcher Dr John Statton. These areas provide food for animals like dugongs and sea turtles, habitat for fishes and which buffer beach-eroding wave energy. But as with many areas in WA Shark Bay has lost seagrass cover due to historical coastal development and, more recently, marine heatwaves. Because of the slow growth of the impacted seagrass species, natural recovery has been limited. "You're looking at decades to centuries for some of these species [to recover]," Dr Statton says. "Which is why we're really pushing for restoration, to help push that process along and to get the seagrasses to recover in a more reasonable timeframe," he says. The current study, which determined that plants located near the meadow edge were less likely to survive, may assist in planning future restoration activities. "If we know that planting a transplant nearby to the edge is going to result in a lot of grazing…we can put in some intervention measures, to prevent those plants from being eaten," Dr Statton says. These management strategies could include planting in the less vulnerable 30-50m zone, herbivore exclusion with cages, or planting in dense patches. 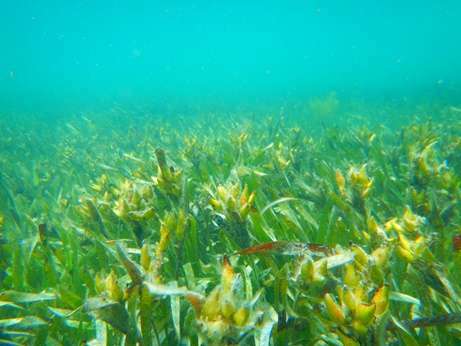 Dr Statton and his colleagues are in the process of systematically assessing the ecological processes that might limit establishing seagrasses in degraded areas. They are primarily investigating a novel approach using seeds, rather than adult cuttings. He says this technique is showing promise and could prove to be a cost-effective method for large-scale seagrass restoration in WA.